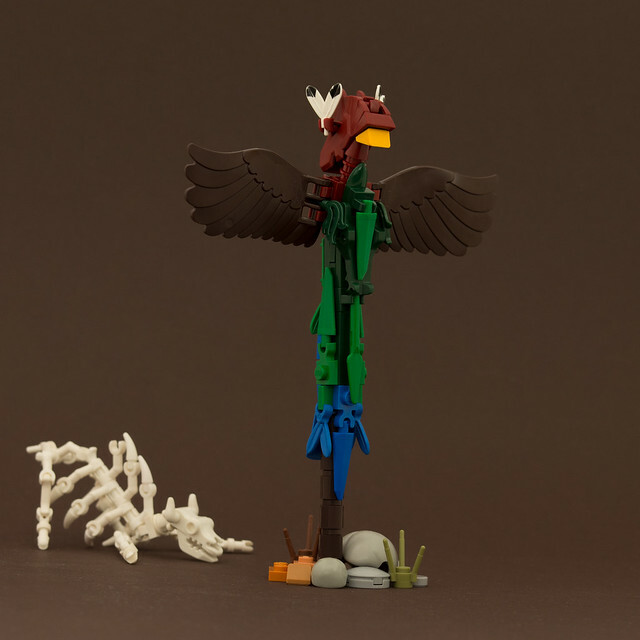 Jonas Kramm has built a variety of things lately, including this very neat totem pole. The pieces used in this model add a very interesting texture, especially the thorn/spike elements that add some nice depth. When you start at the bottom of the pole and work your way to the top, the cooler it gets! Ironically, animal parts and animal accessories are used to add to the craftsmanship of the design, making it appear so realistic. How many different parts can you spot?